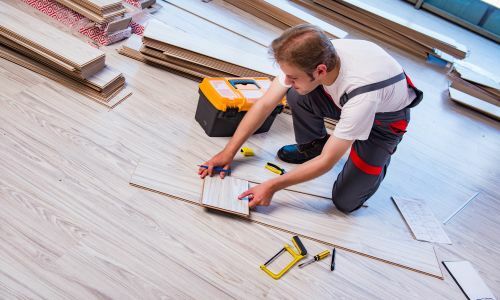 Why replace your flooring when flooring services can save it? That iron skillet that dropped on the floor: cracked tile. Too many games of fetch with Lassie: scratches all over the hardwood flooring. Every day traffic and vacuuming the carpet: stretched and saggy broadloom. Kitty likes to pull on the fringe and side of the area rug: frayed edges. Keep the dogs, the cats, the children and the clumsy chef, get rid of the evidence with Michigan Carpet & Tile's flooring services. Depending on the age and the condition of the tiles, we can restore or replace them. Restoration works well when there are a few damaged tiles in the floor. Depending on the age of the tile, if the color of the original tiles hasn’t changed, then replacing is also an option. Sometimes there are enough tiles that need replacing the repair may be used to alter the theme, texture and patterns, providing a fresh look to an old floor. If you see ripples or lumps in your carpet you’ll need to either purchase new carpet or get your carpet re-stretched and tucked. By doing this to your carpet, you may add at least three of four years to its life span. If your area rug’s edges are frayed, or if you want to turn a piece of raw carpet into an area rug, then carpet binding is a solution. Carpet binding involves sewing a synthetic or cotton material to the edges of a carpet. This service improves the way your rug looks while ensuring that its edges do not fray or unravel. Over time, dogs and cats can gradually scratch the floor with their claws. Moving furniture can cause major scratches as can dropping heavy objects. Our expert, fully trained technicians remove scratch marks and leave your floor as good as new! Our hardwood floor scratch repair service is guaranteed to be effective. By attending to relatively minor damage when it appears, you’ll spare yourself the stress and cost of totally replacing the floor. Our flooring services are available in Mattawan, Kalamazoo, Portage, Paw Paw, Lawton, Schoolcraft and the surrounding communities.